How about we all just ditch life for a while and knit? It’s summertime. Time for ease. Time to ease yourself into the sort of knitting that we adore: portable, easy to memorize, beautiful. With tremendous joy, we welcome the arrival of Field Guide No. 7. It is the lightest, ease-iest Field Guide yet. These four designs from Julia Farwell-Clay will lower the temperature by ten degrees. You won’t find a sleeve or a buttonhole band in here—the most taxing part of this Field Guide is to decide which of these elegant, clever patterns to make first. See all the designs below, and join us for the pure pleasure of knitting during the sunny season. These are the designs we’ll be making during the dog days—they’ll give you the sort of knitting fun that can be had on a patio, a porch, a plane, or a pool. 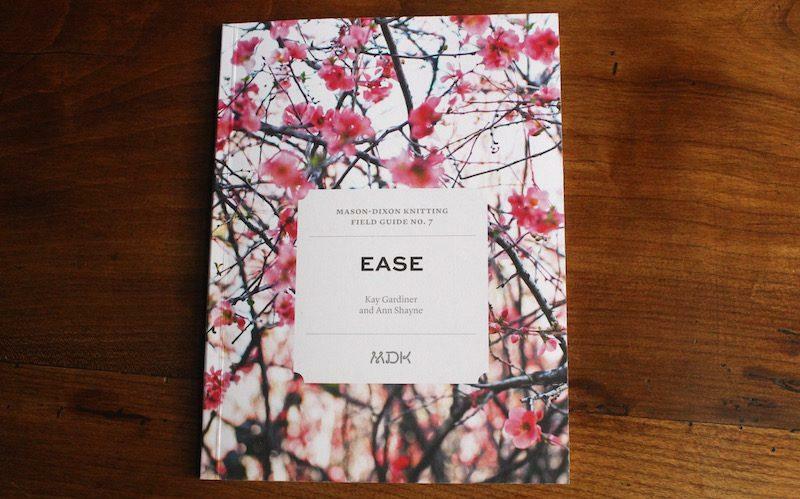 Order your copy here, and we’ll get it to you in time to join us for our summer Ease-along that begins next week. The Sea Breeze Cowl-Poncho is up first. We keep calling this a cowlcho, or a ponchcowl. However you wear it, the stitch pattern is a beauty—it meanders all over the place, but it’s a snap to make. 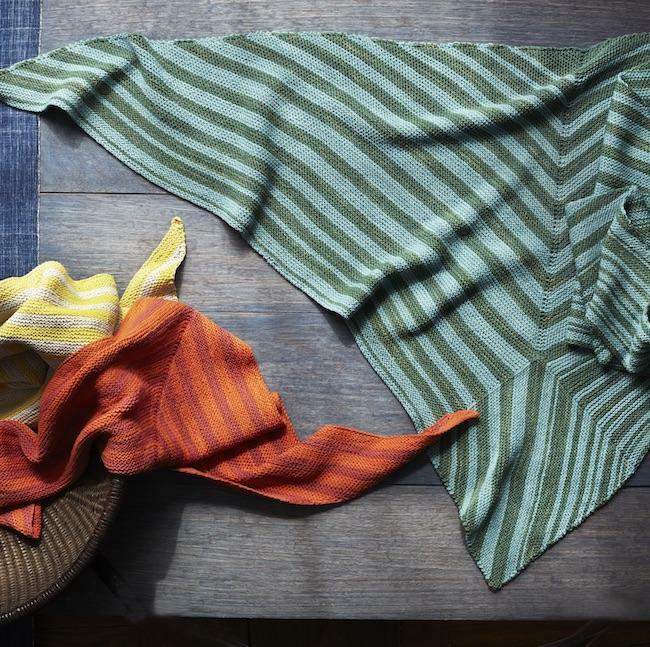 It’s a cowl (or a poncho), but we wanted to keep the Sea Breeze summery, so we chose Spud & Chloë’s smooth cotton/wool blend, Sweater, in a selection of beachy neutrals and vibrant juicy hues. 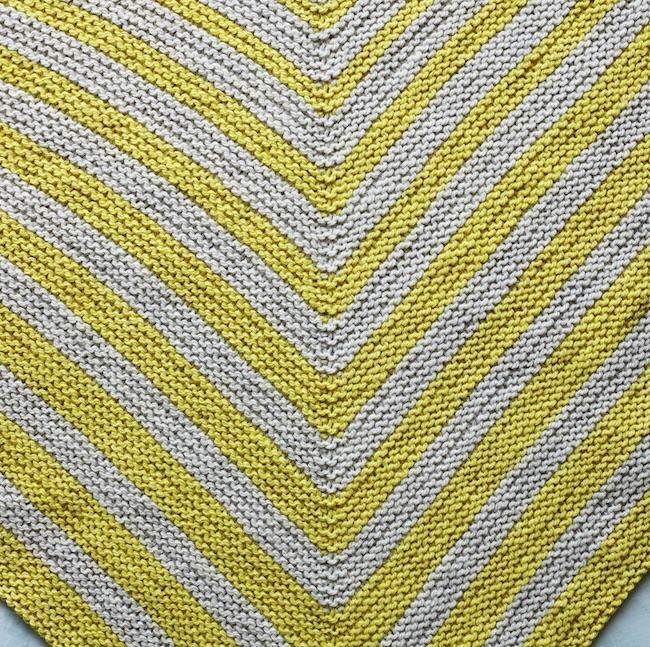 The Sail-Away Shawl really pushes all our buttons. Beach umbrella stripes, with a pattern that allows you to knit a small shawl and call it a day. Or add more panels for a juicy asymmetrical wrap that drapes you in our all-time favorite, garter stitch. Stripe it a little or a lot, as you please. No fuss. The yarn choice for the Sail-Away Shawl is Sincere Sheep Cormo, a springy, light sport weight wool from the natural dye pots of Brooke Sinnes. There is just enough variation in these plant-based colors for a wavery watercolor effect. 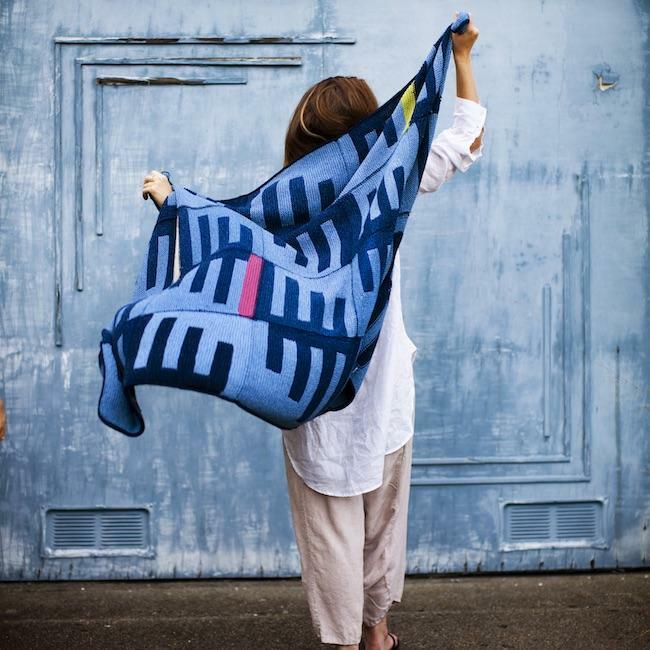 Graphic and bold, the Picket Fence Afghan makes the best carry-along knitting: the blanket is made of one kind of square, but the arrangement and color possibilities are endless. Julia’s magic switcheroo technique means that this is not traditional intarsia—once you have the needles in your hands, you’ll quickly get the hang of this clever method of colorblocking. Bonus: very few ends to weave in. The yarn for the Picket Fence Afghan is Rowan Denim, the shrinking, fading stuff of legend and one of our all-time favorite cotton yarns for blankets and sweaters. 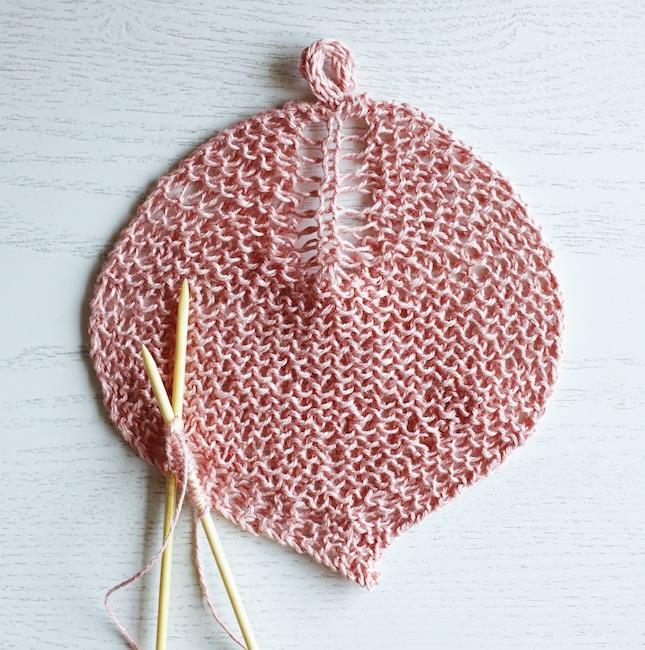 Less than six inches across, the Bodhi Leaf Washcloth is the best sort of portable knitting. Make a batch of them for your friends, your ma, your babysitter, yourself. You can probably guess the yarn from the photo: it’s Euroflax Sport linen. We have it in the Shop in sets of five miniskeins. You can get two leaf cloths from each mini, for a grand time playing with color. We’re having a hard time (and by hard time we mean not actually hard but the kind of hard that’s fun) deciding which design to make first. We hope you have as much fun figuring out what your plan for Ease is going to be. 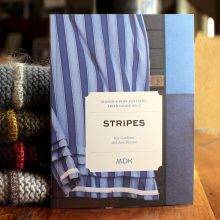 Knitters are collecting the Field Guides. 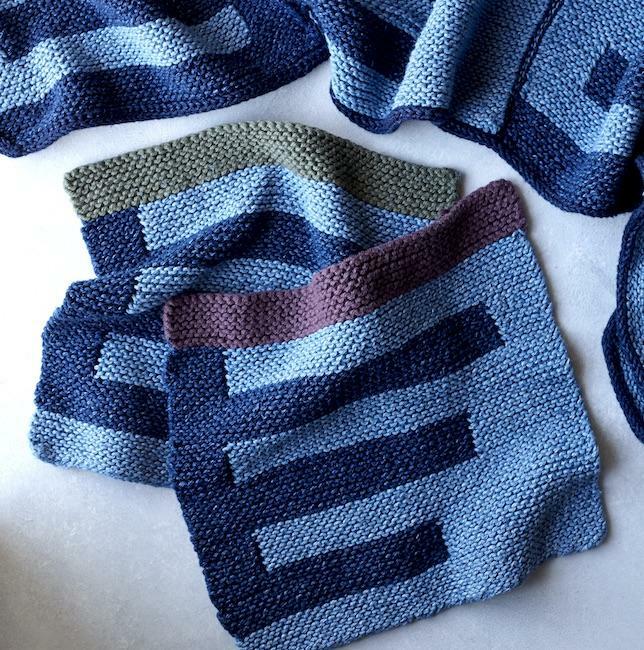 Build your set of evergreen knitting patterns by beloved designers. Love the new field guide! Placed my order, along with a set of euroflax minis. I’m going to a wedding in a couple of weeks and needed just that little extra handmade gift for the two nature lovers that are getting married. The timing couldn’t be more perfect! Oh – and that SHAWL!!! Oh that afghan is a thing of beauty! 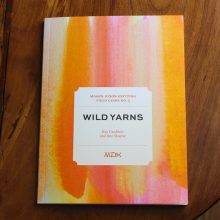 Ordering the guide, but have a question about the yarn. I normally dislike knitting with cotton. Is there anything about the Rowan that is different in the hand and the FO than most cotton yarns? Denim is very much like any cotton yarn in terms of how it feels to knit with. Thanks! Definitely want to make it, but may look for other yarn. So nice to wake up to this, just purchased, downloaded and wow I love it already…. those little leaves are such perfect summer sewing, ok so is that denim blanket, and those shawls!! Such a perfect way to start summer ( in Boston) congratulations to all on this issue! I love the Afghan but how do you add the cotton to the denim when you know the denim is going to shrink? How about the bleed of denim on your hands in the summer warmth? It all shrinks together, no problem at all. Any cotton yarn will shrink with hot machine washing and drying. The blue washes right off your hands. Everything is beautiful! Very excited to pick up Vol. 7 to add to my collection! All of a sudden I’m ready to ditch my current projects and cast one something new. But which one to do first??? 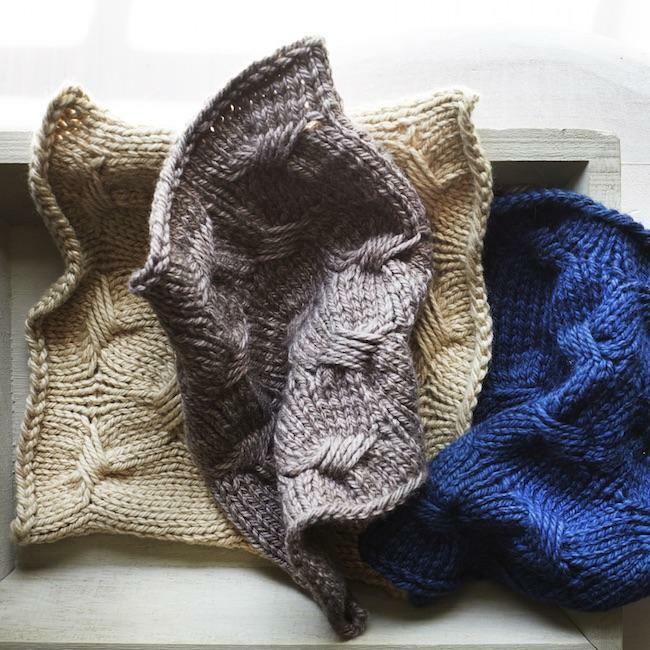 The Bodhi leaf washcloths are quick and so you feel less guilty ditching your current project. I knit one up and then went back to my Shakerag top. Aw, man – I haven’t even wound the Sylph for my Shakerag! You’ve done it again! All of these designs are so appealing. There are no wrong answers! If you make the Shakerag, you can wear it while you’re knitting your next project. Just sayin’! Ok, Pennie, so there IS a right answer! 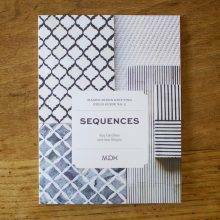 Wondrously clever and fun patterns! Beautiful projects! Great yarn. I have been wanting to try Rowan denim, and that blanket is the best project ever. It is simple yet very sophisticated (when I first saw its picture I was reminded of the I Ching). 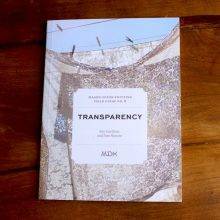 Thanks to Julia, and of course to MDK. 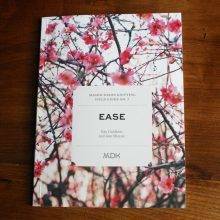 Ease is easy to love. Oh boy, Julia, that cotton blanket is tempting! 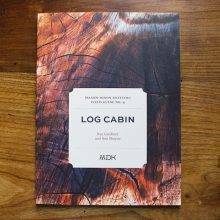 Y’all should be so proud – a beautiful new book and an amazing collection of Field Guides. Yes, yes, yes!!! I love all of these so much. Ordering my copy right NOW! Thanks to Ann and Kay and Julia for these brilliant books and patterns! You’ve absolutely nailed what I love knitting in the summer – easy, beach styling that provides a simple extra layer for evenings at the beach or in the backyard. The sea breeze poncho is fantastic – that pattern looks like ocean waves. And when you live in New England, no matter how hot the day gets, you can almost count on wanting a warm layer most evenings. I want to wrap myself in the cowl, the shawl, the blanket – all are gorgeous. This is all going to interrupt my current WIPs! I was delighted to get a sneak peak at Shakerag, and want to make everything in this Field Guide! Every design is tasty, and just right for summer knitting. Love the sea breeze cowl. Could I use tat pattern to make a shawl? Of course, but the pattern is written in the round. You’ll have to convert it, and it is a stockinette pattern essentially so you’ll need something like a garter stitch border to guard against the curl. But sure, you can do that! I’m pretty sure this has to be a WS row. I stopped here on my first square. You are correct. Second B Stripe, Row 1 should say WS not RS. THank you for catching it. We will issue an errata as soon as I’ve knit the rest of the way through a mini square to make sure I don’t find another problem. 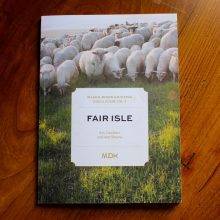 How do you buy the complete field guide? There are two options: downloadable ebook only, or print edition that comes with a download code in the back for a free ebook edition.